Some of y’all know that I occasionally send care packages to guys and gals overseas through http://www.boooksforsoldiers.com (Politically, if I leaned any further left, I’d fall down, but I absolutely want to support these individual men and women who are far from home, working on behalf of our country.) Well, one guy in particular has been super about writing back. Which, happily, works to his benefit because then I want to send him and his buddies more stuff. “This Is Spinal Tap” is next up to go out. Sidetracking, if you haven’t seen the DVD of this, you really, really should. The commentary is done by the cast members as if they were in the band. So it’s Nigel and the rest doing the commentary, and it is freakin’ hilarious! I highly recommend it. Aaaanyway, getting back on track. 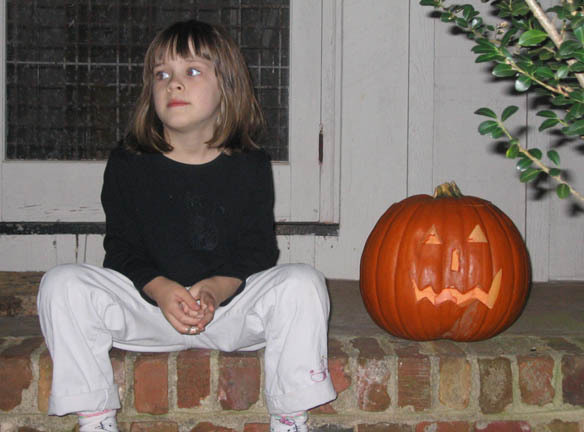 I had mentioned in a recent mail that my daughter had been sick on Halloween and hadn’t been able to go out. Well, apparently the guys in my soldier’s tent had gotten about 75 lbs of candy for Christmas from various organizations back home who wanted to be extra nice to the troops at the holidays. Seventy five pounds. Five guys in the tent. That’s a lotta candy. 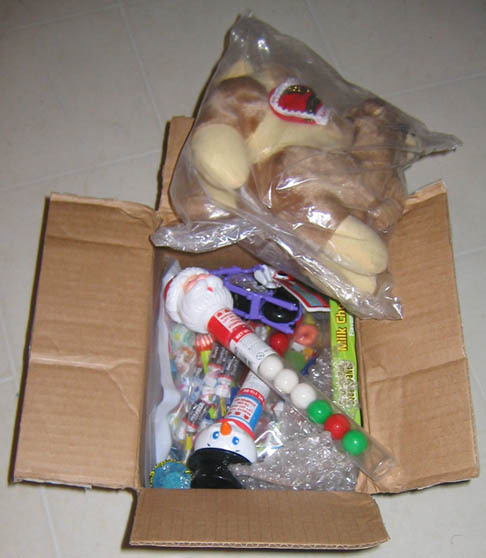 So they sent a care package to my daughter consisting of four pounds of candy and a stuffed camel. The box is deeper than it looks in that pic, by the way. It was very unexpected, and so nice! I’m going to have to hide the box, though. My daughter has already burned through at least five lollipops since yesterday afternoon. I’m just really impressed with the thoughtfulness of these guys, to take the time and money to pack and ship a big box of candy to a five-year-old girl they’ve never met. It really reaffirms my faith in the basic goodness of people. If you’re going to e-mail me, or ESPECIALLY if you’re going to IM me, let me know WHO YOU ARE! If you’re going to launch into small talk and your screen name is LuvMe4Evah or something, yeah, I’m probably not going to respond. And if I do, my immediate first question will be “who is this?” Please don’t be offended. I’ve got a lot of couples, and if your screen name bears little resemblance to your in-game name, I won’t know who the heck you are. I picked up http://www.tvini.org! Juts because, well, I can! Wooooooo!